If you're actively trying to breed a new Pokemon, then the daycare is a godsend. Just drop two Pokemon off and, provided they're compatible, a Pokemon egg will pop out. But if you're not trying to breed? Things can get pretty weird. Two seemingly incompatible Pokemon will totally get it on with each other sometimes. Heck, Pokemon that are waaaay too be young to be bumping uglies will suddenly be proud mommas and papas. You gotta wonder, just what in the hell are the daycare people thinking? 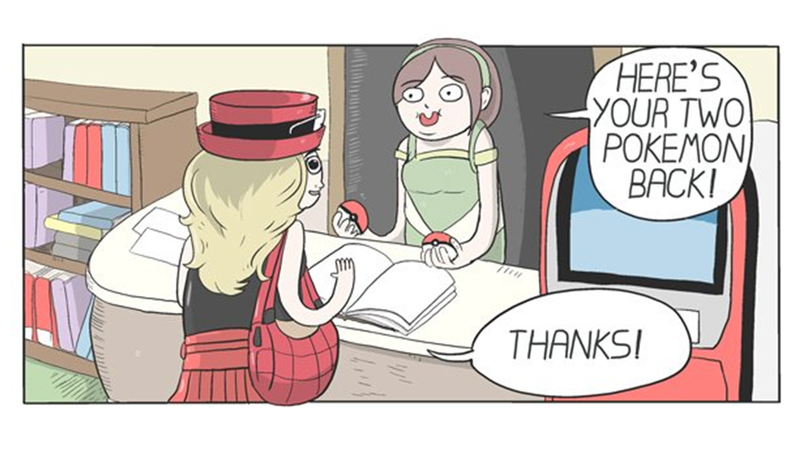 But, it's also kind of funny, too—just look at this Dorkly comic about Pokemon daycare to see what I mean.